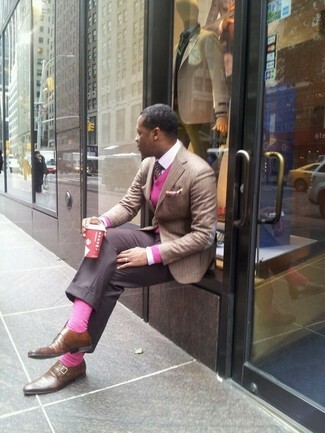 Go for a brown check wool three piece suit and a pink dress shirt for a sharp classy look. For something more on the daring side to complement this outfit, go for a pair of Tom Ford gianni double monk strap loafer brown. 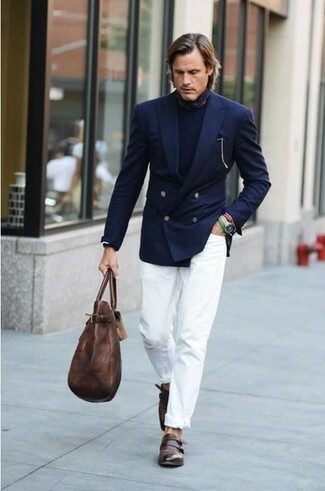 This combination of a navy blazer and white jeans is very easy to make up in no time flat, helping you look awesome and ready for anything without spending too much time going through your arsenal. Spruce up this look with brown leather double monks. 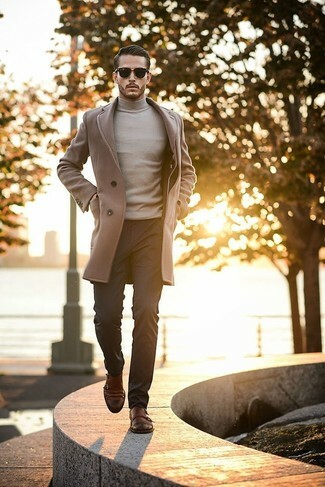 Choose a brown overcoat and black dress pants for a sharp classy look. 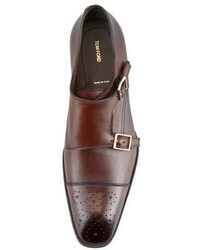 To break out of the mold a little, go for a pair of Tom Ford gianni double monk strap loafer brown. 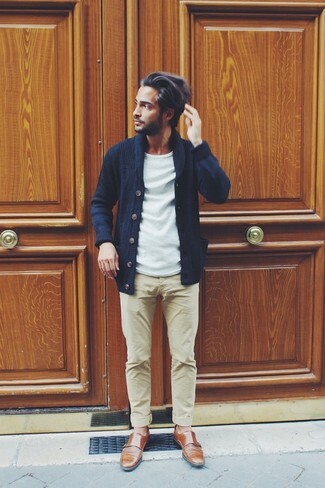 For a smart casual outfit, wear a navy shawl cardigan with beige chinos — these two pieces fit really nice together. 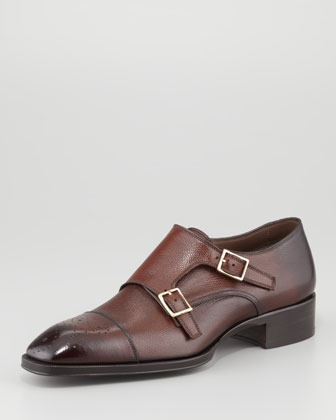 Wearing a pair of Tom Ford gianni double monk strap loafer brown is a simple way to add extra flair to your getup. For a nothing less than incredibly stylish getup, try teaming a mint suit with a white dress shirt. 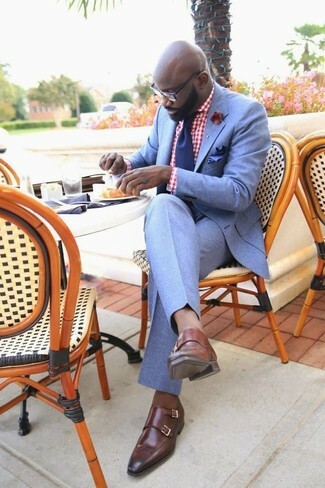 For something more on the daring side to round off this ensemble, go for a pair of brown leather double monks. For a nothing less than incredibly stylish look, reach for a tan vertical striped blazer and grey dress pants. When it comes to shoes, this outfit is round off perfectly with Tom Ford gianni double monk strap loafer brown from Neiman Marcus. 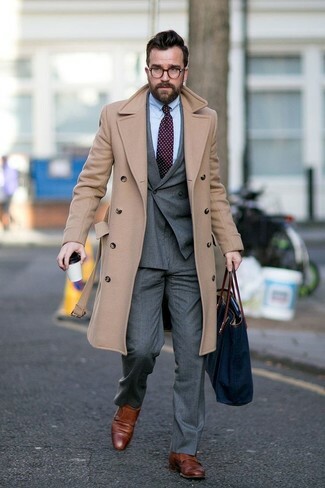 Opt for a beige overcoat and beige check dress pants for a sharp, fashionable look. For something more on the daring side to finish off this ensemble, opt for a pair of Tom Ford gianni double monk strap loafer brown. For a nothing less than incredibly stylish getup, go for a light blue blazer and light blue dress pants. For something more on the daring side to round off this look, opt for a pair of Tom Ford gianni double monk strap loafer brown. 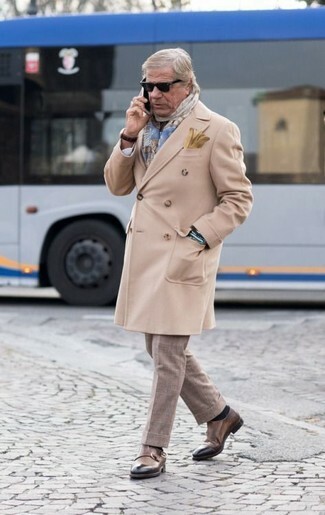 For a nothing less than incredibly stylish getup, reach for a camel overcoat and grey dress pants. For something more on the daring side to round off this getup, make Tom Ford gianni double monk strap loafer brown your footwear choice.